We've known for some time this was due. Our roots are in the dirt, though over the last 25 years bikes have changed. 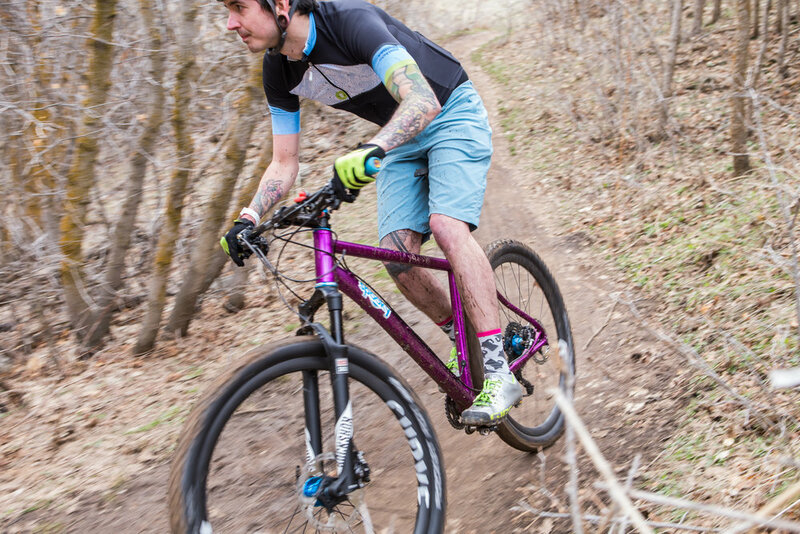 Spooky grew from the desire to build a better mountain bike, appropriate for our riding. Much like Dune and Mulholland, we went to Frank the Welder with some geometry, some ideas, and a vision. He took our ideas, told us which ones to keep, which to scrap, and how to execute our paper drawings into a rocket ship of a hardtail. Taking our plans of an XC race bike, 29" or 27+ tires, with modern features like stealth dropper routing and Boost rear spacing, FTW created Frank. Starting with a premium Deda tubeset, FTW went about building custom tooling to manipulate each tube into exactly what we needed. From the bespoke caliper mount machined just for Frank, to the custom-shaped seat and chainstays offering the most possible chainring, tire, and heel clearance, FTW delivered the race bike of our dreams. Combine anti-gravity climbing, quick switch-back smoothness, descending confidence, and a bit of rowdy excitement and you have Frank. For pre-orders placed before 4/30, we're including a Chris King Inset7 headset. Shipping is set to begin before the end of April.